Think a young adults’ retreat isn’t for you? Here are five reasons why you should reconsider. 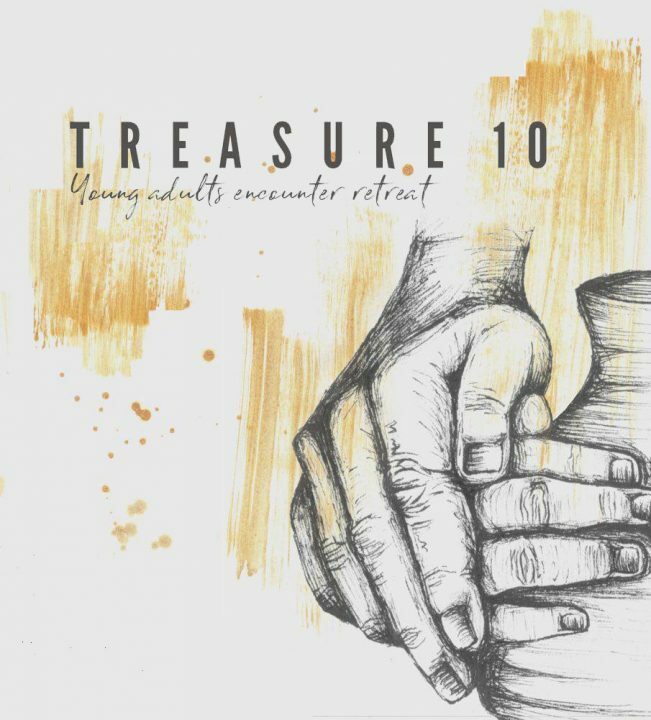 I previously attended the Treasure Young Adults Encounter retreat, conducted by the Office for Young People where I took on the role of a small group facilitator. On the surface, it may seem like I had sacrificed a precious weekend to serve and help out, but in truth, I received so much more from the Lord. The Holy Spirit was the one doing the hard work – raking away stubborn weeds and sowing seeds of truths in our hearts. Are you a young working adult who is seeking more? Below are five signs that it may be time to sign up for a young adults’ retreat! 1. Your last retreat was your confirmation camp. By definition, to retreat is to move back from a battle’s front-line. It is not conceding defeat, but rather, involves an intentional withdrawing in order to regroup, refresh and regain strength. Similarly, we need to consistently find time to step back from the front-line of life – whether it is the hustle and bustle of work or the immense stresses from broken relationships – to pause and reflect. Otherwise, we often find ourselves feeling extremely overwhelmed, beaten down by the trials of life, or we even numb ourselves (an increasingly common way to deal with painful situations). When was the last time you retreated and allowed Jesus to re-treat you? If your last retreat was your confirmation camp, I encourage you to give yourself and Jesus a chance at intimacy once again. 2. You attend mass every Sunday or even serve in a ministry but still feel empty somehow. Having served in a ministry for ten years, I took pride in it, and thought that I was not too bad of a Catholic. How wrong I was – it was a subtle lie that hid my lukewarm faith. We are called to live a faith that is alive. Jesus came so that we may have life, and have it to the full (John 10:10). Treasure helped me to uncover deep truths of who God is and who I am to Him. Through the retreat, I came to rediscover my faith in Him and be more grounded in my convictions. More importantly, I came face to face with the person of Jesus – He is my saviour and friend, and not simply the physical institution of the Church that I go to every Sunday. 3. You carry a lot of past hurts in your heart. Back in secondary school, I was often bullied. It was difficult to revisit the pain and anger that I had buried for years, which I realized was necessary in order for healing to begin. When I took courage and shared this at the retreat and sought prayers, one of the prayer team members saw an image of Jesus sitting beside me in an empty classroom. I was greatly comforted by that beautiful image and realized that Jesus had been by my side in all my struggles and that I had never been alone. I am grateful for a safe space to share vulnerably and receive immense inner healing. What Jesus reveals He heals – be not afraid in facing your wounds! 4. You feel alone in your faith journey. At Treasure, I was heartened by encountering many others like me who were experiencing similar struggles and hurts. I felt understood, accepted and encouraged by the fact that I was not alone. After my own Treasure retreat as a participant, I was introduced to a community of young adults and have since joined them. My community members are my companions for this lifelong journey towards Jesus. I know that with their support, I can keep on walking in my pursuit to become more Christ-like. Jesus himself recognized the importance of having companions for the journey – notice that he did not call just one apostle but 12. What about the Gospel of the paralytic man who was lowered down through the roof to Jesus (Luke 5: 18-25)? He wouldn’t have been able to get past the crowds to Jesus without the love and support of his friends who carried him. The truth is, it is difficult bear the torch of Christ alone. It can easily fizzle out when life gets rough. With brothers and sisters in Christ who bear the flame with you and for you however, the flame remains burning even at the most challenging of times. Remember that we are created for communion, both with God and those around us! • There has to be more to life than earning money just to spend it. • There’s has to be more to my life – what is my purpose? What am I called to do? Ticked off at least one of the five reasons? Take a leap of faith and apply for a retreat – come to know the great plans the Lord has for you, “plans to prosper you and not to harm you, plans to give you hope and a future” (Jeremiah 29:11). Of course, Treasure is not like a miracle pill that made all my troubles vanish right after taking it. However, I came away from the retreat knowing with certainty that God was, is and will always be with me. This has brought me much peace, confidence and joy. I am rejuvenated and ready to return to the front-line of life’s battle, charging on with faith and trust!